Online payday lending is becoming more and more popular. Some scam artists are taking notice and trying to take advantage of unsuspecting borrowers. The Internet is a convenient and easy way to do business, but you need to be aware of the potential scams and pitfalls you can run into. If you have experienced either of these frauds, contact law enforcement, the FTC or the Better Business Bureau. How Can You Avoid These and Other Scams? You don’t need to be afraid of doing business online, but you do need to be informed. 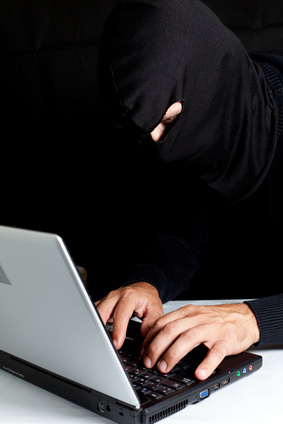 Here are some tips for protecting yourself from online scams. (1) When you are seeking a legitimate payday loan from a reputable online lender you need to make sure that your information is submitted in a secure environment. These are some of the trustmarks you should look for to verify that the online lender is secure and handling your privacy properly. Truste: An online privacy management company that certifies the company’s privacy practices. McAfee Secure: A company that tests the security of an online site. GeoTrust: A company that provides SSL encryption to secure online transactions. (3) Do not provide any identification information, such as social security numbers or bank account numbers through emails. Always make sure you are using some type of secure application form. (4) If you do have a payday loan and are contacted by someone representing the company, call them back at the contact number on the loan documents and verify that the collector is legitimate. (5) Remember a delinquent loan is not a criminal act, but a civil act. You can be sued for what you owe in a court of law, but you cannot have a warrant issued for your arrest. (6) Do your homework. Research the site you are about to work with and make sure it is trustworthy and secure before you fill out an online application. The Internet is a great way to access many different lenders with a click of your mouse, but it can also be dangerous. That’s why you need to make sure you work with a secure online site and reputable lenders. Paydayloansonline.org provides its borrowers both of these benefits.